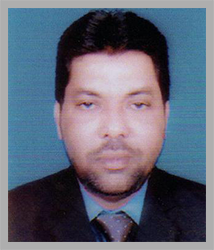 Mr. Iqbal Hussain Qazi, a Commerce graduate from Mumbai University is a leading businessman. His expertises into various industries including, CFS, Steel and Steel Products. As a dynamic individual, Mr. Iqbal Qazi today hold Directorship in various companies including Ocean Gate Container Terminals Pvt. Ltd., Iqra Steel & Tubes Pvt. Ltd, Qazi Trading Company and Bharat Petroleum outlets.